“Golf saved my life”, is not a line you hear every day. In October 2015, proud Welshman Mike Jones, an electrical engineer and single figure golfer, climbed astride his Yamaha MT09 Sports Tourer motorbike for the trip across the Severn Bridge from Cwmbran into England for a shift in Bristol. With a toot of his horn he said goodbye to wife Beth without a care in the world. Four days later he would wake up in hospital in Swansea in severe pain and confusion. Mike has been told he nearly died at the scene of the accident and lost a lot of blood. A leg was badly crushed, his thighbone was rammed through his pelvis by the crash. These bones could be rebuilt in complicated operations but his lower left leg had to be amputated three days after the accident; the start of a long road that would include 22 hours on the surgeon’s table, six months of regular out-patient visits and a hip replacement as recently as last November. And even then it could have been far worse. His biker’s protective clothing may have saved his life as such was the injury, more exposure of the wound could easily have led to a fatal infection. The super-keen sportsman, former footballer, a golfer who had been close to scratch (a 2 handicap), would later learn that he was still very much “just Mike” but right then, in a room on his own and desperate for sleep, all he could consider was his new identity as “Mike with a lost leg”. A move to a ward with other guys in a similar condition helped, as they could talk and support each other with a bit of banter. The second telling element of his initial recovery came because Mike was holding on to his love of golf as a focus in this most difficult time. Could he ever play again? He watched golf videos in his hospital bed and found clips from one golfer in particular, Manuel De Los Santos. De Los Santos hails from the Dominican Republic and lost his left leg in a traffic accident to destroy his dream of playing professional baseball in the US. He would not only later discover a new sport in golf but he would excel in it, as a fine striker of the ball which has seen him win trophies on the European Disabled Golf Association (EDGA) Tournament Series and become something of an emblem for EDGA and its players as to just what can be achieved. Mike said: “I was obsessed with playing again. It saved my life. I really don’t know what I would have done if I hadn’t had golf as a focus, God knows what, I would have ended up in not a very nice place I think, so it literally saved my life. Fast forward less than 18 months to February 2017 and Mike Jones is a long way from that hospital bed. He is actually teeing it up in an EDGA tournament in the sunshine in the Spanish Open, playing so well he won the Stableford trophy with two solid rounds off a new 19 handicap; while also meeting Manuel De Los Santos in the flesh and making a new friend. After his trauma and the surgery in 2015, Mike showed plenty of bravery as he learned to walk again as an out-patient with the help of physiotherapist Jo and staff at Rookwood Hospital in Cardiff’s Artificial Limb and Appliance Centre, before later continuing his improvement under the expert care of staff at the nearby Morrello Clinic in Newport. Only six months after the bike crash, Michael Overton from the Welsh Disabled Golf Association (WDGA) met up with Mike at Green Meadow Driving Range for Mike’s first return to hitting any sort of golf shots. He hit a succession of wedges that really impressed Overton who urged him to take part in a WDGA golf day only a month or so later at Peterstone Golf Club. Here, Mike met two new friends whose welcome and support would spur him on to great things in the year ahead. From here, Mike’s golf improvement allied to his work on physical conditioning would be a revelation and is much talked about in EDGA circles today. Mike would win the Stableford in both the Welsh and Scottish Opens of 2016 before his hip replacement slowed him down for a spell. Supported by wife Beth, who has been a regular caddy, Mike has now become a leading player in EDGA tournaments culminating with his win in Spain this February. 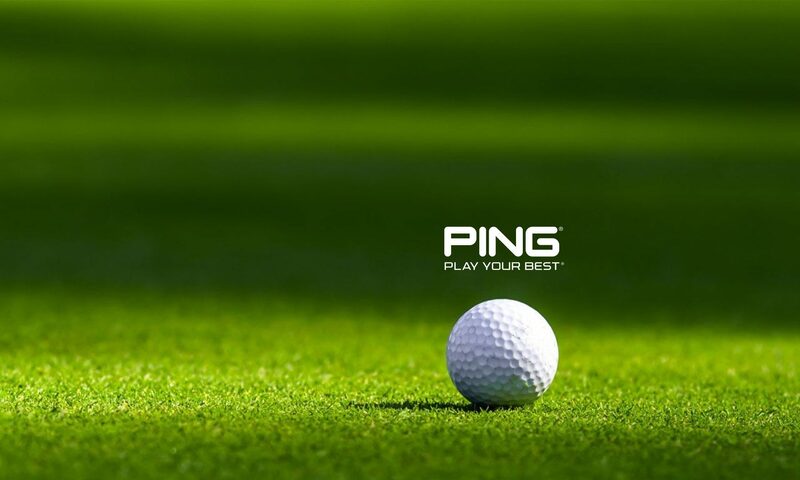 The organisation is backed by 23 national golf federations as it helps golfers with a disability to compete internationally as ‘Golfers First’, while allowing them to measure their progress in the Ranking for Golfers with a Disability (R4GD) supported by PING. The Ranking is relevant here because less than two years after the accident that nearly killed him, after thousands of golf balls hit on good days and bad, Mike, at the time of writing, is currently number one in the Nett Ranking, actually ahead of those friends Juan Postigo Arce and Manuel De Los Santos. Today, now that Mike has won his toughest battle, he is keen to help others who are in need. “The first thing for any person who is disabled or has suffered [other illnesses] or are struggling with a condition, golf can turn your life around. You don’t have to be a superstar, all you have to do is be able to hit a golf ball and putt a golf ball. You can go to a golf club and meet people. It’s all about not being isolated because when you have suffered a disability it’s quite easy to turn in on yourself and not communicate with others. So golf and golf for the disabled especially is a great forum for people to start communicating with each other and realise you’re not on your own. There are people out there who can help you, there are people who can turn your life around. Mike was recently appointed as a Golf Development Wales (GDW) Inclusive Ambassador and he will be promoting inclusiveness in the sport, as well as assisting with events and meetings to promote GDW schemes and initiatives. Mike says he is only looking ahead now, wishing to support other golfers while honing his own game to try to get back to single figures (he has been working with respected PGA coach Rob Moss). He remains hugely thankful for everyone who has backed him. “The guys I’ve played with for 20 years have been amazing in the way they have supported me, and the guys with a disability have been like another level again. For example, EDGA player Mathieu Lebon (France), a fellow leg amputee, has been a very good friend while finding my way in the events, and Ian Halliwell of British Inclusive Golf has also been so generous with his support. “Also, my golf club (Woodlake Park GC) has been fantastic, they support me no end and they have had a couple of collections for me to help me with travelling and tournament entries. Mike knows that the injury has changed him in other ways. He admits to now being a “cry baby” and happy to open up his emotional side, who’ll sing Country & Western songs to Beth in the car (Josh Turner and Garth Brooks), while showing steely determination on both the golf course and in the gym as he gets better at golf and fitter and stronger. Just what you would expect from a “Welsh Dragon” who follows the nation’s footballers and rugby men with great passion. Of all his supporters Mike reserves most praise for wife (and caddy!) Beth. Mike’s story is not too dissimilar from a number of the golfers involved with EDGA, who share a unique bond with each other along with certain characteristics: courage, fortitude, determination and often a sense of humour as they have not let their injuries or disabilities define them as people. Rather they have accepted these as a starting point of the second chapters in life and they compete in golf tournaments around Europe knowing their red numbers on the leaderboards are not just for them but also for the friends and family around them. They are all ‘Golfers First’, while Mike Jones is also – very much now – just Mike. As a former 2-handicapper Mike talks about how his previous skill at controlling a golf ball was both a blessing and a curse. “If anything this was more of a hindrance because it took me a while to come to terms with the fact I can’t swing the club like I did before; I’ve got to work out a new way of doing it,” said Mike. 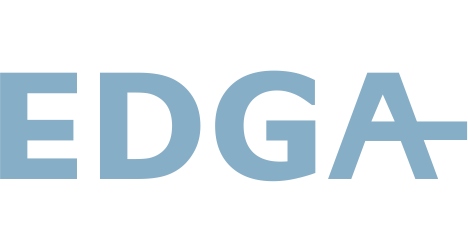 “Rob Moss [a respected PGA coach and chairman of EDGA’s sports committee] started coaching me at the beginning of this year and we worked out some new techniques I would use, how I stand, how I align my feet, how I turn my shoulders, my grip. Ironically perhaps, it was football injuries that switched Mike onto golf in his mid twenties when his best mate Gary took him to a nearby nine-hole municipal course.